A quick Google search produces plenty of opinion pieces out there on cloud computing adoption, but as the Cloud Security Alliance (CSA) and ISACA carry a fair amount of clout in the industry, I wanted to share some interesting findings from one of their recent surveys. While there were plenty of positive indicators about adoption growth and perceived use and value of cloud services in the years ahead, the report shows companies are still wrestling with concerns over data ownership, legal issues, contract lock-in, international data privacy and government regulations. 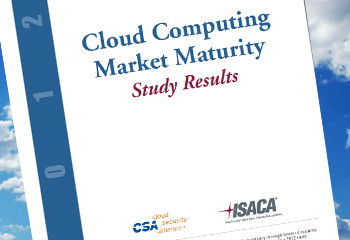 The full survey report is available at www.isaca.org/cloud-market-maturity and https://cloudsecurityalliance.org/research/collaborate/#_isaca. ← BackupAssist version 7.0 ….